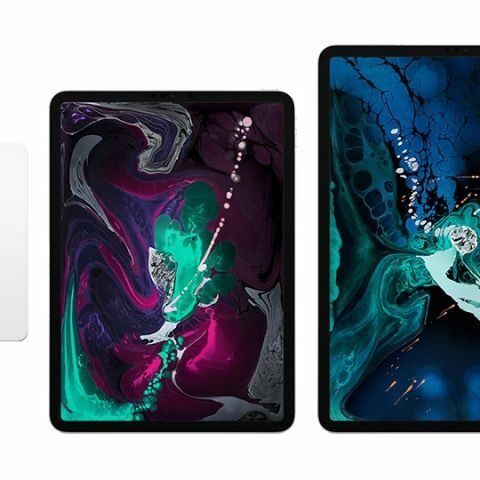 Apple announced the new iPad Pro 11-inch and iPad Pro 12.9-inch variants at an event hosted in New York. The new iPad Pro models are aimed squarely at power users and creative professionals with their incredible display and an updated Apple Pencil. Not to mention the A12X Bionic chip that supposedly puts desktop-grade performance into what is essentially a tablet. Of course, the iPad Pros are not cheap and turns out, neither is getting them repaired. The official iPad Service and Repair page has been updated to reflect the cost of repair for the new iPad Pro models. In case you were to break the display on the new 12.9-inch iPad Pro, you will have to fork out $649 to get it fixed. A new 12.9-inch iPad Pro will cost you $999 for the 64GB variant, although India prices are a little higher. However, if you do get Apple Care+, the repair cost comes down to $49, a considerably lower amount. Apple Care+ itself costs $129 but given the cost of repairing the new iPad Pro outside of Apple Care+, the $129 price for extended coverage seems like a bargain. 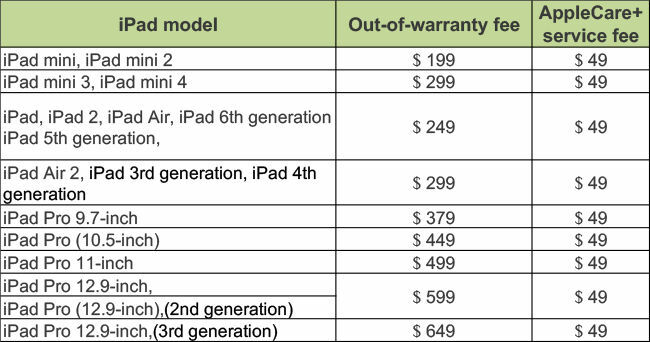 The revised cost of repair/replacement is listed out for all the iPad models in the chart below. Apple’s devices have been getting increasingly expensive, as is the price to have them repaired, making Apple Care+ look not just like a good idea, but also a great bargain. Apple Care+ extends the warranty on the iPad to two years and includes coverage for two incidents of accidental damage. Given that a cracked display is the most common reasons to avail service, getting Apple Care+ to reduce the burden of repair would be a wise decision.